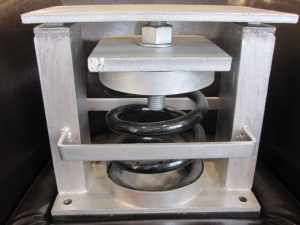 Seismic spring mounts type SSR-C-300 series are heavy duty steel spring isolators with built in all directional snubbing. The snubbing element is a high quality molded neoprene. 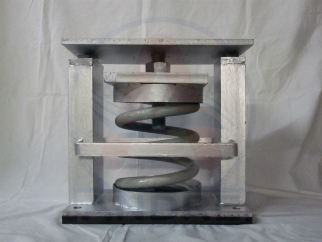 The housing is made of steel construction with galvanized finish. 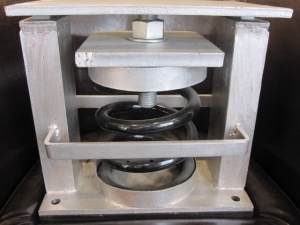 The spring is made of powder coated steel. 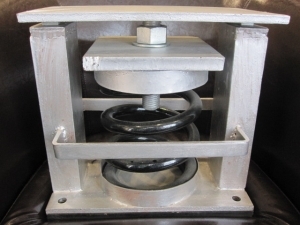 Used for air conditioning equipment such as compressors, air handling units, centrifugal fans, pumps, cooling towers and chillers.